Professor Johnston has published more than 140 peerreviewed articles and supervised more than 20 successful PhD graduates. Selected prizes include the 2018 Royal Society of New South Wales Clark Medal in Zoology, the 2016 Society for Environmental Toxicology and Chemistry (AU) MidCareer Medal, the 2016 Hynes Distinguished Lecture from the Canadian Rivers Institute and the 2014 Australian Academy of Science’s Nancy Millis Medal. In 2018 Emma was awarded an Officer of the Order of Australia (OA) for “distinguished service to higher education, particularly to marine ecology and ecotoxicology, as an academic, researcher and administrator, and to scientific institutes”. 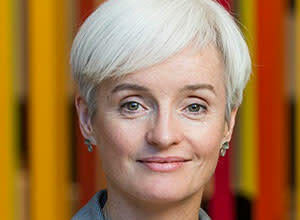 Professor Johnston represents more than 70,000 scientists and technologists as President of Science & Technology Australia (STA) and is a Director on the Board of the Great Barrier Reef Marine Park Authority (GBRMPA) and Deputy Chair of the Australian Antarctic Foundation (ASF). She consults with industry through the development and implementation of new biomonitoring techniques and environmental monitoring programs and frequently contributes expert opinion to state, federal & international government agencies. Professor Johnston is also a highly soughtafter science communicator and television presenter for the ongoing BBC/Foxtel series, Coast Australia and ABC Catalyst and winner of the 2015 Eureka Prize for the public communication of science.